Team Suzuki Press Office – October 31. 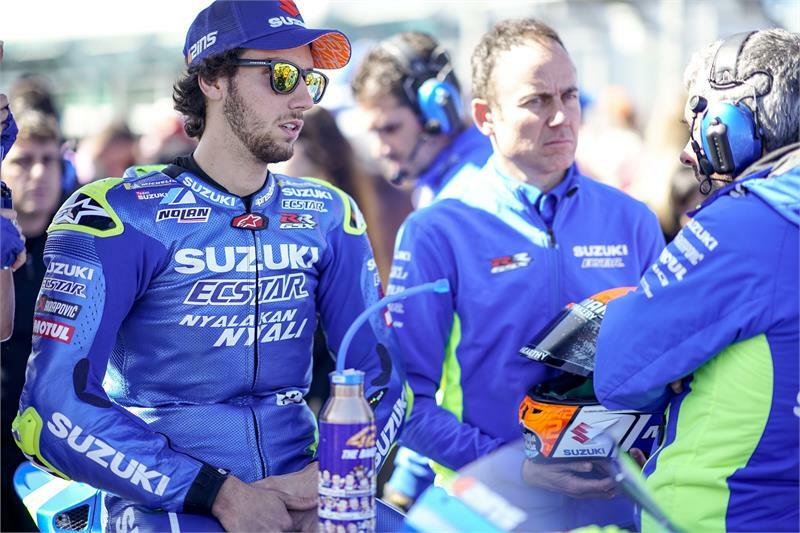 The Malaysian GP will be the penultimate round of the season, and also the last one of the long series of fly aways – part of an exciting succession of races which has so far seen Team SUZUKI ECSTAR’s riders take three podiums in four races. Andrea Iannone is fresh from his second place only a few days ago in Phillip Island and he will be taking this momentum as a further push to try and end the season in the best possible way. He feels that the competitiveness of his GSX-RR and his riding is very close to that of the best contenders, thus giving him high hopes for a positive race in Sepang, despite the hot and humid weather expected there. Alex Rins got a result below his expectations in Australia, but he could take important lessons from his solid 5th place. His performance in Japan was good, taking third place in the race, thus his confidence with the bike is getting better and better and he now has a well deserved place among the fastest riders. The Sepang International Circuit is a very fast and long one, quite different from any of the previous tracks. The hot temperatures and high humidity will make it hard for everyone, especially the riders. With four slow corners following two long straights, and ten medium to high-speed corners, the wide track is particularly favourable to overtaking manoeuvres, but it will also put a lot of stress on the engines. At 5.5 km (3.44 miles) in length it is one the longest circuits on the MotoGP™ calendar, with a main straight measuring 920 metres or 3018.37 ft.